Discussion: We discuss more feedback from other aspiring writers with physical challenges who find themselves inspired by David Weber's interview and his use of transcription software tools to write his novels. Keep an eye on the website, and when we're able to get him back on the show to talk more about his writing and revision process, we'll collect questions from our listeners to ask him on those topics. Listener Review: Anna the Librarian brings us a review of Librynth by Pearl North, from Tor Teen. 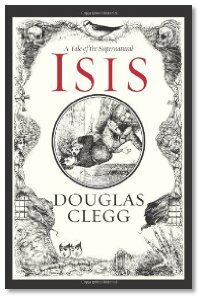 Interview: This week, Douglas Clegg joins us to chat about his latest book, Isis: A Tale of the Supernatural. The novella, beautifully illustrated by Glenn Chadbourne, tells a haunting tale of young Iris Catherine Villiers (who later becomes Isis Claviger) and her grief-stricken journey into the occult after her beloved brother's death. Doug also talks about the various marketing campaigns that accompany Isis, including the website and the online game. On the topic of NASCAR-branded romance novels, I got the marketing angle for that one immediately. Does the phrase "NASCAR widows" bring anything to mind (other than unfortunate accidents)? Its' been ages since I've been out in SL - but I can't find the signs to take me to the FP island. Your interview made me interested in checking out the Isis book and game, but I found your links were incorrect. They should be http://www.isisthebook.com and http://isisthebook.com/game Thanks for a great interview.